This week is brought to you by ONE HUNDREDTH MEMO! That corresponding with my birthday week and the colossal wave of happiness I am feeling is such serendipity—it’s spectacular. My first Monday Memo (April 26, 2016), I was listening to Beyoncé’s newly released Lemonade. (It came out April 23). “After Laughter (Comes Tears)” by Wendy Rene. "What If Birds Aren’t Singing They're Screaming" by Aldous Harding. “Playita” by Land of Talk. “Suspended in Gaffa” by Kate Bush. My second Monday Memo (May 2, 2016), I had just started Donna Tartt’s The Goldfinch, which remains to be my favorite book. Life-changing. I’d love to read it again one day. Passion, Romance and Yearning: Photos of People Kissing: From simple pecks to full-on makeout sessions, a new compilation of photographs reveals how couples have kissed in front of the camera since the late-Victorian era. My first Monday Memo, I was craving Brownie Brittle. “Can't stop thinking about and replenishing my stash. I eat it plain, I crush it up and put it on ice cream, I smear almond butter on it. The Peanut Butter flavor is hard to find but it is perfect. The Mint has the best chips. The Salted Caramel is that perfect salty/sweet combo. Even the gluten-free Trader Joe's version is great. I could go on. Yes, I have a problem.” I keep seeing new flavors in the stores and it still calls to me, though I try to resist the siren song. The Trader Joe’s version gets me sometimes though. This week I ate a lot of oranges, drank a lot of ginger ale, and a lot of Conde Nast cafeteria meals. Plus, taste tested white English muffins. I’m not sure what my favorite brand was, but Stone & Skillet makes a nice, buttery dense version—very different from the Thomas standard. My first Monday Memo I was was wearing “black tees and a black skirt or cut-off shorts. Plus a lot of light blue.” Seems about right. The beginnings of summer. This week was a lot of black Chelsea boots, black leggings, black down jacket, black beanie. The winter version of black and simple. 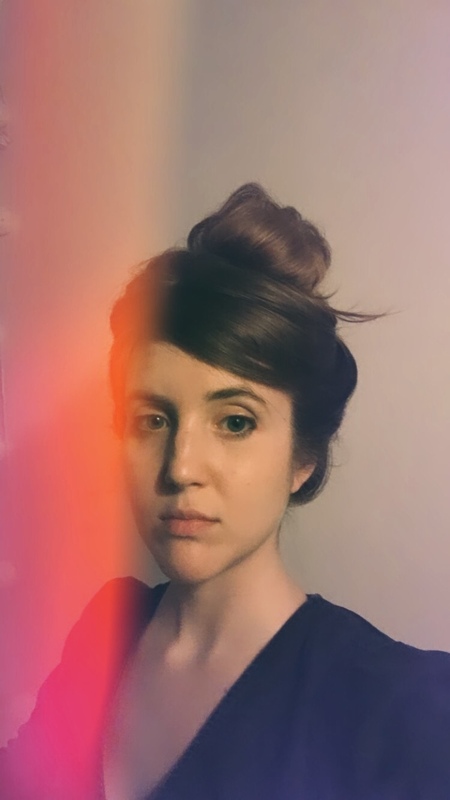 Below is documentation of self—wow does my hair look dark!—attempting to let self portraits free, out into the world. That was in the same span of time, just playing with makeup and bang positions. My first Monday Memo, I was watching Friday Night Lights. Wow, I forgot about Tim Riggins. Good times. I finally saw The Favourite last weekend and it was one of the best movies I’ve seen this year. It was strange and beautiful and WILD. 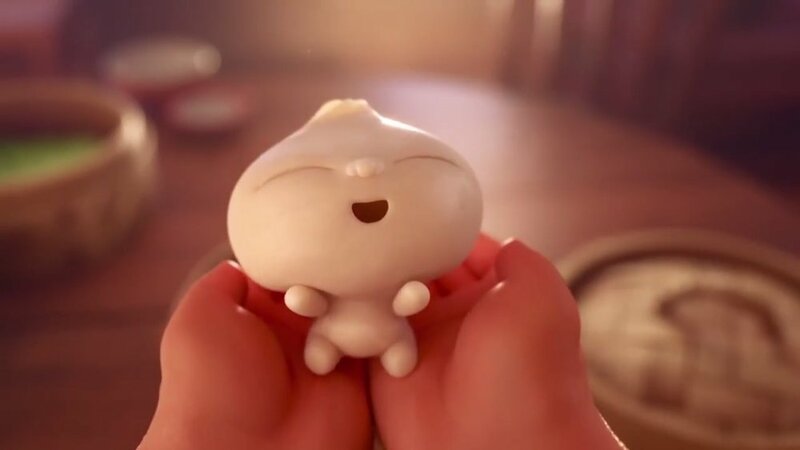 I really want to see the short animated film called Bao, where an older Chinese woman feels lonely at home and one morning, while eating breakfast with her husband, one of her pork dumplings springs to life as a giggly dumpling boy. There’s a dark twist. Life: This has been one of the hardest, most exhausting, most intense years of my life. It’s also been one of the most exciting, most fulfilling, and most enriching years of my life. Year of the dog, you have been something else. Something else! I’ve gathered a lifetime of stories. I made amazing friends and connections. I’ve cried a thousand years. I’ve walked miles upon miles. I’ve taken so many buses and trains. Life is life is life and I feel so fortunate for this one. Do you have a favorite Monday Memo moment? Tell me please! This musical portion is brought to you by going to a Saintseneca show and having a really great time. "Pillar of Na" by Saintseneca. "Emilia" by Horsebeach. This was just recommended to me on the topic of shoegaze and I dig it. This week there were some Thanksgiving desserts being made and photographed at work and I couldn't say no. One was a Pumpkin and Cookie-Butter Sheet Cake With Toasted Meringue and the other was a Chocolate-Pecan Sheet Pie With Molasses. I carried them in my purse to a gallery in Brooklyn, to a show in Manhattan, and then home—where they were eventually consumed for breakfast. I also devoured a new flavor (coconut cashew) of Purely Elizabeth granola in record speed. IT WAS COLD THIS WEEKEND. I was thrilled, even when it was grey and rainy. On Sunday I wore PANTS AND A SWEATER AND A JACKET AND WOOL SOCKS AND BOOTS. Maybe aggressive but I was never sweaty and uncomfortable. I am looking forward to more layers and scarves and socks. Last week I got my aura photographed, so here is what I'm wearing energy-wise. I finally saw Crazy Rich Asians — most enjoyable rom com. 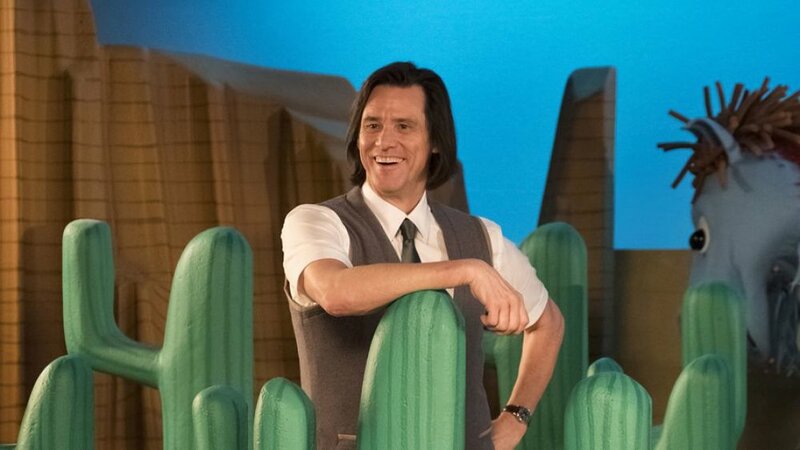 I'm curious to watch the new Showtime series with Jim Carrey, Catherine Keener and Judy Greer. It's directed by Michel Gondry (where has he been??) and one of the producers is Jason Bateman, so promising. Jeff, aka Mr. Pickles, is an icon of children's television, a beacon of kindness and wisdom to America's impressionable young minds; when his family begins to implode, Jeff finds that no fairy tale, fable or puppet can guide him through the crisis. I was reading an article about celebrity doppelgängers and remembered how someone once told me I looked like Léa Seydoux (flattering). This brought me to find out that she is in a movie called ZOE as a character named Zoe. Wow. Weird. I'm going to have to watch it. "ZOE tells a tale of forbidden love between an engineer and a robot. ZOE (Léa Seydoux) and COLE (Ewan McGregor) are colleagues and veiled lovers at a lab working to perfect romantic relationships. But their relationship is threatened when Zoe discovers the truth about their relationship, sending them into a spiral of confusion, betrayal and the most intense of human emotions, love." She even has the bangs in the movie. Cheesing: This refers to busting out big grins while wandering aimlessly. This refers to daydreaming while eating a muffin. This refers to laughing out loud in the living room with the windows open. This refers to reading horoscopes and enjoying phrases such as: "you can follow your body as it carries you... you can follow your glittering dreams... slowly, the world might start to change color around you — a quiet shift in the sky’s golden light."